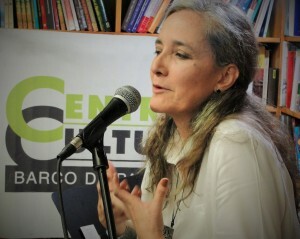 Centro Cultural Barco de Papel presented the book ‘La fiera consecuente (The consequent beast)’, a work by Ecuadorian singer Margarita Laso, last August 21, 2015 at the headquarters of the library. Margarita Laso is the author of popular songs in her country. After eight years of the last poem work, this new book consist of text that have grown over time and in the words of the author “it came to light with force, pain and above all a liberating reflection “. The book is divided into three parts and each part express a different thought. As she says such thoughts “that take our sleep, which is elusive. The loving embodiment, the nonconformity, the violence that inhabits us, that wither us and kill us. The subject of the title is the beginning and the end.” On one side is the presence of the beast that was previously represented by animal figures, and this associated with pain, loss, and doubt, on the other hand is the presence of the bull in reference to the untamed. “Everything that relates us to animals is brutal, we eat animals and they also eat each other,” says the writer. 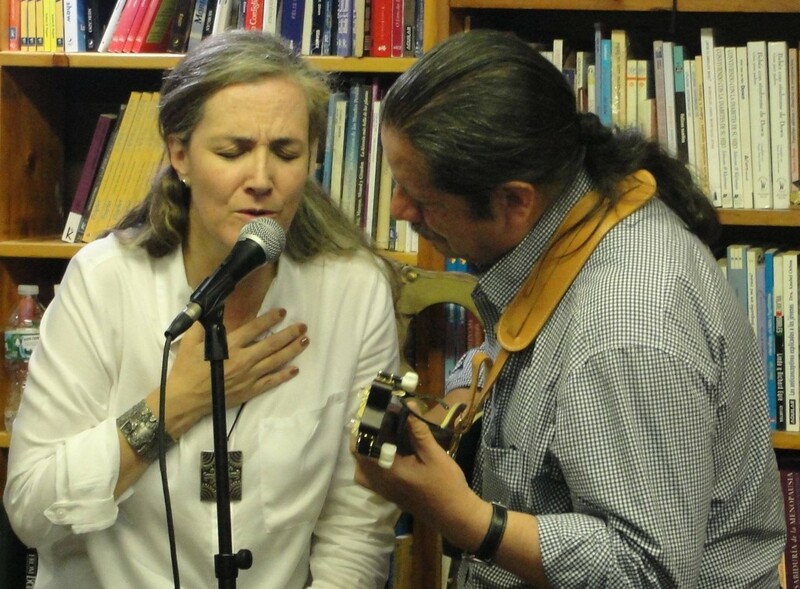 On this evening of music and poetry, the poet and singer was accompanied by her husband Pablo Valarezo (pictured), renowned percussionist formed in the Goerge Dima Conservatory in Cluj-Napoca, in Rumania and by argentine guitarist and arranger Ruben Isola. 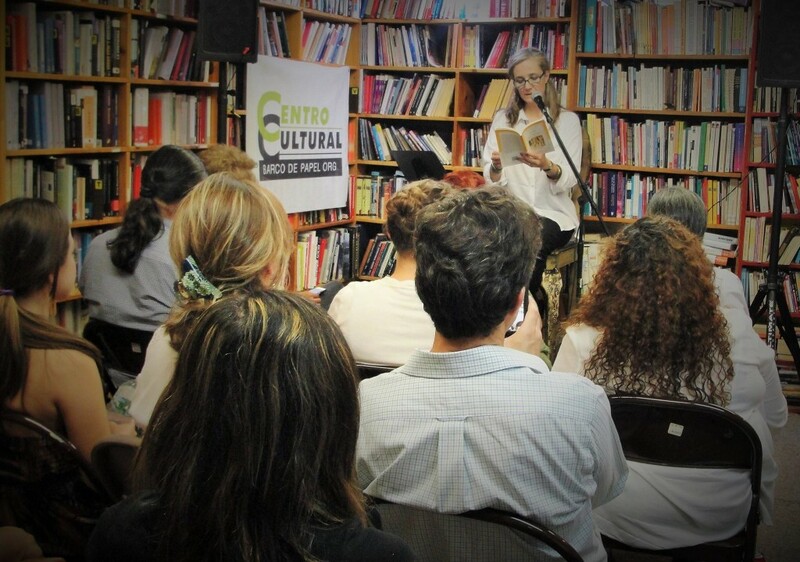 The event was sponsored by Latino Poets NY organized of the Latin American Poetry Festival in New York CIty. This was an excellent opportunity to see the work of this artist and author in the Big Apple. 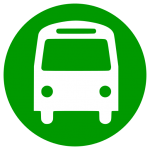 Photos in our Facebook page. Margarita Lasso (Quito, July 20, 1963) is a writer, singer and producer born in Ecuador. she has published five books of poetry: Erosonera (1991), ‘Queden en la lengua mis deseos (My desires be at my tongue) (1994), El trazo de las cobras (The Cobras stroke) (1997), Los lobos desarmados (The unarmed Wolves) (2004) Fiera Consequente (Consequent Beast) (2012). In 1997 he won the National Poetry Award Jorge Carrera Andrade for his book El Trazo de las cobras. He has worked as an editor for several publications and writes regularly for the newspaper Hoy of Quito. She participates constantly in readings, concerts and international meetings of writers and poets. His musical work has focused on the interpretation of local and traditional genres of Ecuador. Although she has extended it to other Latin American genres, her true vocation has always been the popular songs. she has recorded corridors, boleros, tangos, traditional Latin American songs, Ecuadorian folk music, holiday music and lullabies. She has recorded eleven CDs with emphasis on national music of Ecuador. In her work she has combined the heritage legacy of songs with contemporary composers. She is currently one of the most influential musical voices in Ecuador. As a singer, Laso has represented his country in Colombia, Peru, Cuba, Chile, Brazil, El Salvador, Turkey, Guatemala, Germany, Puerto Rico.